Children’s food should be as healthy as possible. Food scientists have come up with wonderful ways of using healthy and natural ingredients to make treats that kids will love. 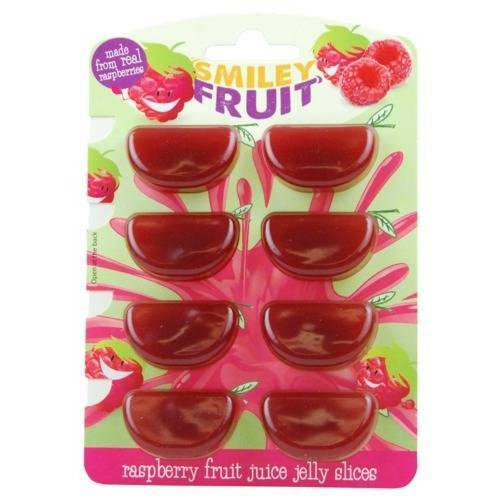 Such as Smiley Fruits from Belgium, made with real fruit and guaranteed to put a smile on your child’s face, especially as they are allergen free (see link). These fruit juice jelly pieces come in four flavours: Raspberry, Orange, Passionfruit and Strawberry, have only 18 calories per slice and are made totally free from gluten, milk, nuts or gelatine. There’s no colourings or additives or any of that junk, just good ingredients, high in fibre and high in fun. If you’re cooking curries there are just a few simple rules to start with. 4. Followed by the ginger, garlic, fresh coriander and chillies. Once you’ve done this, you can add the other main ingredients, along with water or stock as necessary. Finally, make sure you season to taste. Most people don’t know how to build the foundations to a good curry and fall at the first hurdle. But, get the initial stages right and your other cooking skills will soon kick in. You’ll get the hang of it. There are lots of other tips you can pick up. These are just the basics, but get these right and you’ll be on your way to cooking Britain’s favourite dish in no time. It’s useful to have as many herbs and spices as fresh as possible, but it’s also a good idea to bulk buy your spices where you can. 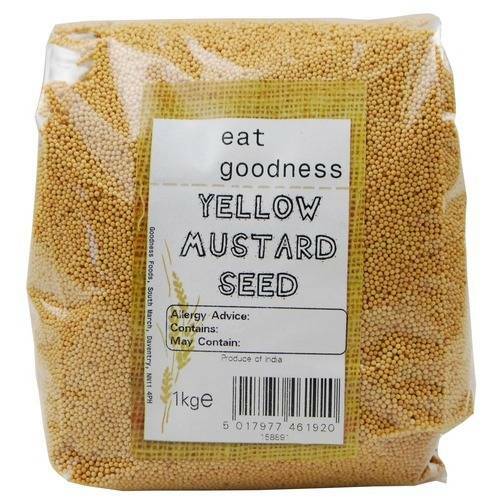 GoodnessDirect stock kilo packs whole seeds such as yellow mustard, brown mustard, fennel, cumin, caraway and coriander to help you on your way. Want happiness on the inside? Tenderly cold grinding the best organic Equadorian cacao (rather than burning it) allows the chocolate to keep its antioxidant flavanoids which, we are informed, are otherwise known as love-chemicals. 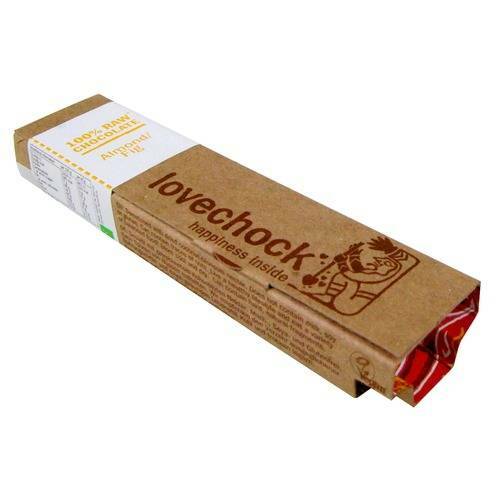 The chocolate is then sweetened with coconut blossom nectar and comes unadulterated with no dairy, soya or gluten. If you chew organic do you need organic breath mints? In europe the organic food market is growing strongly. However, in the UK the only the organic clothing sector can report an overall success. I guess that means we can expect to see a lot more European organic foods being eaten by some well dressed Brits! 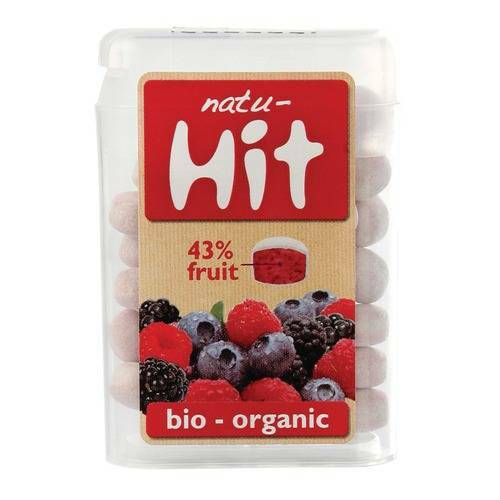 Interesting foods like Natu-Hit, the organic version of Tic Tac’s. These come in strong mint, red fruit and licorice flavours. I just wolfed down a pack of the tastiest ricecakes ever! Yes, I know that sounds like an oxymoron, but the good food revolution has hit the puffed up world of ricecakes with a vengeance. 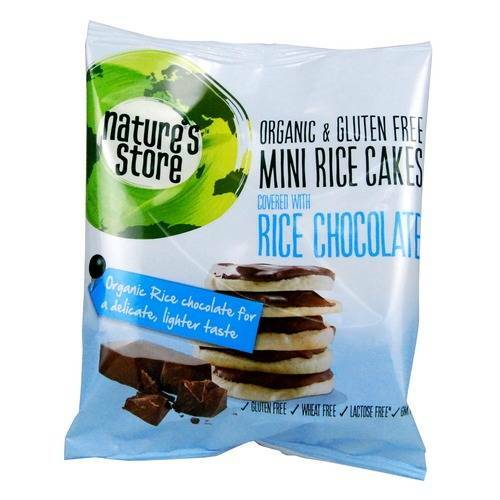 Okay, the ricecakes were mini-bites and yes, they were covered with chocolate, but I’ve tasted chocolate rice cakes before and they weren’t half as enjoyable as these Rice Milk Chocolate Coated Mini Rice Cakes. The real fulfilment came from the purity of the experience. The chocolate had been made with rice milk keeping it lactose free and adding a symbiosm to each delightful bite. Cocoa and air-bubbles, sweetness and rice – it was near heaven. The makers, Nature’s Store, source the finest ingredients and add nothing artificial, in this case utilising organic rice from paddy fields in Italy. … are equally as good. There’s been a lot of bad press about palm oil in recent years. The cultivation of palm forests for industrial use has been an ecological disaster. So, it’s exciting to hear about a responsible use of palm oil by sustainable organic practice which works to preserve rainforests. 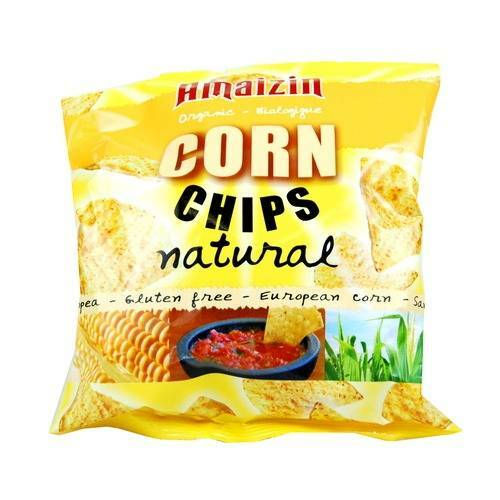 Amaizin are a nacho company making gluten free and organic corn chips with palm oil from land that has been farmed responsibily since 1990. Money is invested back into the Colombian community where the trees are grown and a cooperative of small farmers has been set up to continue the work. Of course, what you get to enjoy are some very flavoursome torilla chips. Currently they come in three different flavours: natural, sour cream and chilli.